We’d love your help. Let us know what’s wrong with this preview of Women of Kern by Maris McKay. A princess whose A negotiator who uses herself as a bargaining chip. To ask other readers questions about Women of Kern, please sign up. Romance and adventure. Loved the strong and courageous characters. Women of Kern is a collection of novellas and short stories set in the deeply thought-out world of Kern. Each story follows the story of a strong female character (legitimately, diversely strong, not the kind of "strong female character" you get in most YA fiction) and shows a vivid part of Kern through that character's story. Kern isn't your generic, euro-centric, same-across-the-board-like-a-Star-Wars-planet fantasy world. 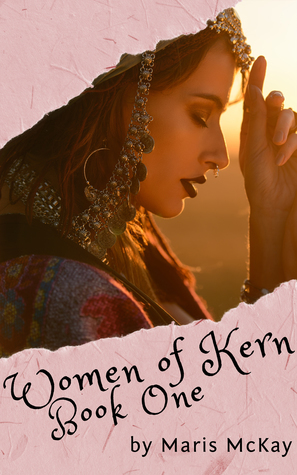 It's diverse in its landscape and cultures, it's deep and immersive, and Women of Kern is a collection of novellas and short stories set in the deeply thought-out world of Kern. Each story follows the story of a strong female character (legitimately, diversely strong, not the kind of "strong female character" you get in most YA fiction) and shows a vivid part of Kern through that character's story. Kern isn't your generic, euro-centric, same-across-the-board-like-a-Star-Wars-planet fantasy world. It's diverse in its landscape and cultures, it's deep and immersive, and it's really fascinating to read about. There's inspiration from everywhere in the real world. The characters pale in comparison to the world, and a few of them did seem somewhat lackluster, but in general the characters were well thought-through as well. I generally preferred the side characters to the main characters (Zaelet is one of my favorites), but that's true of many stories for me and I don't think that's a fault of the author. Maris's writing is really vivid and immersive. This allowed me to really explore the world through the characters' eyes, but also made some of the romance uncomfortable for me because I have an overactive/vivid imagination. Nothing in this is what I'd consider too graphic (for an older audience), but it did get more descriptive than I was especially comfortable with.